Delhi University has finished the admission process on the basis of first cut off list which was released on June 23, 2017. The University will now release the second cut off list. 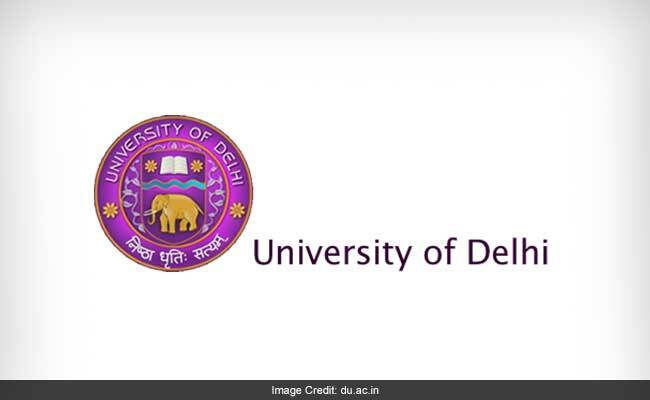 New Delhi: Delhi University has finished the admission process on the basis of first cut off list which was released on June 23, 2017. The University will now release the second cut off list. Going by the practice followed by university during first cut off declaration, the second cut off list may be released today in the evening hours. The second list will seek to fill seats which have remained vacant during the first phase of admission. In the first list there had been a marginal dip from last year. Though none of the top colleges demanded the golden digits of 99-100% for admission, the cut off certainly was not a good news for students with a below 90% score. It is expected that the second list will see further dip in cut off percentage and might make way for those with a percentage on the lower side of 90 in the top colleges. While previous year trends suggest that there might be only a marginal dip from the first cut off, experts are hoping to see a difference of up to 3 per cent. This year SGTB Khalsa college, North Campus, had set the highest cut off with 98.25% for B.Com. (Honors), 99% for BA (Honors) in Political Science, and 99.66% for B.Sc. (Honors) in Electronics. The cut off for B.Com. (Honors), BA Psychology (Honors) and BA English (Honors) was not below 90% at any of the colleges. Going by previous year trends, it can be assumed that all the seats at Delhi university will not be filled until the third cut off.